So a little overlap here on the AT mileage…but picking up where I’d left off on Woodrow Road wasn’t really possible. Woodrow Road is pretty far back on a gravel road. This was a Trail Dame hike and I didn’t want anyone to get lost on the way to the trail head! We were off. We took one car down to the Shippensberg Road trail head and started our hike. The trail starts nice and flat. Hard to believe this is the AT! We found a nice break spot south of Woodrow Road so we took off our packs for a minute or so and had a little snack. While there we found a hornet’s nest! How cool! We continued down the trail and crossed Woodrow Road in no time. We headed down hill now, at times steeply, until we reached Tom’s Run Shelter for lunch. We took a moment to read the map and the trail journal. 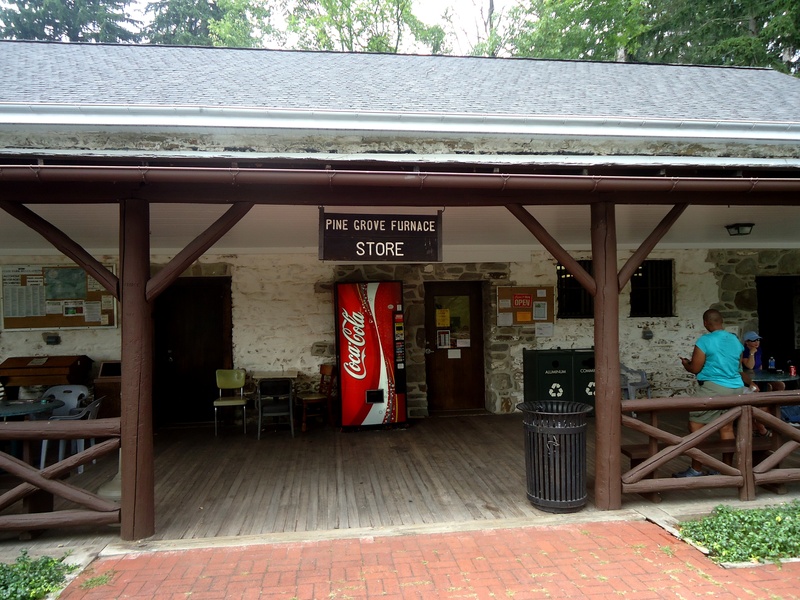 Many comments had to do with reaching the half way point and taking the half gallon challenge at Pine Grove Furnace SP store! One young child had written that he was taking his first AT hike with his dad. 🙂 🙂 Love it! It was a wonderful day with great company! 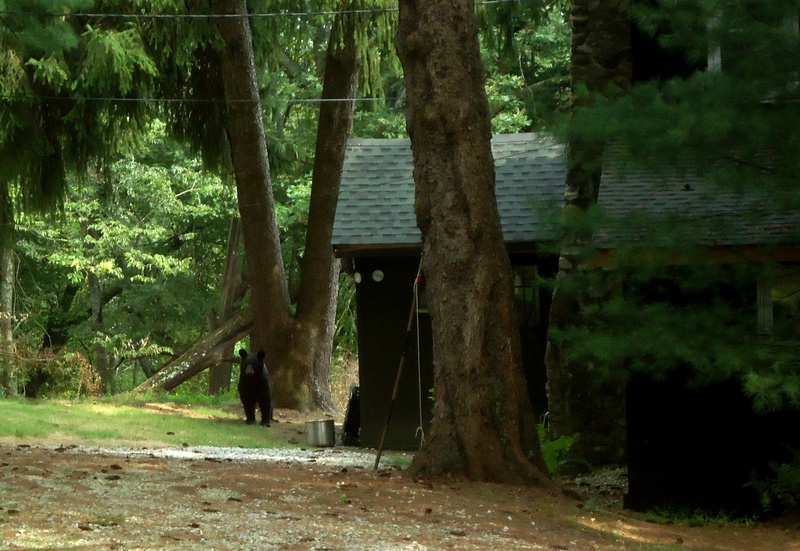 But perhaps the best of the hike came at the last…a bear! He is a big, gorgeous guy and I walked right by him! Boomerang started hissing at me and only then did I look up and see this handsome bear!! 🙂 🙂 Made my day!!! 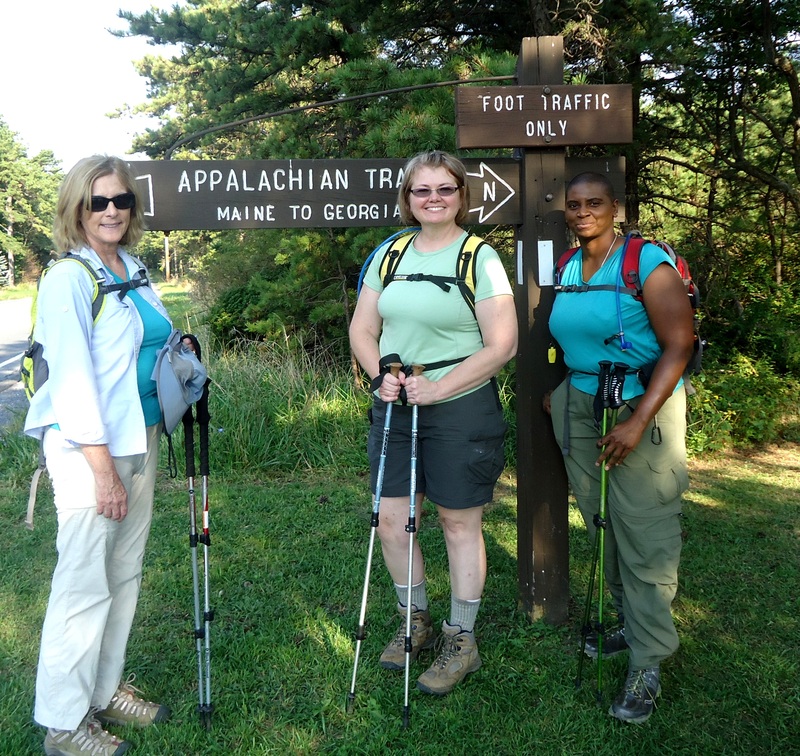 This entry was posted in AT-Pennsylvania and tagged Appalachian Trail, bear, Caledonia State Park, Hiking, Pennsylvania, Pine Grove Furnace State Park, trail dames, trails.